The programmes produced by the News of the World were marvellous documents with valuable information on every page. Information, I may add, not obscured or disguised by a proliferation of adverts as would be the case in the twenty first century – the only ads were for the News of the World and were separate from the race details and information. 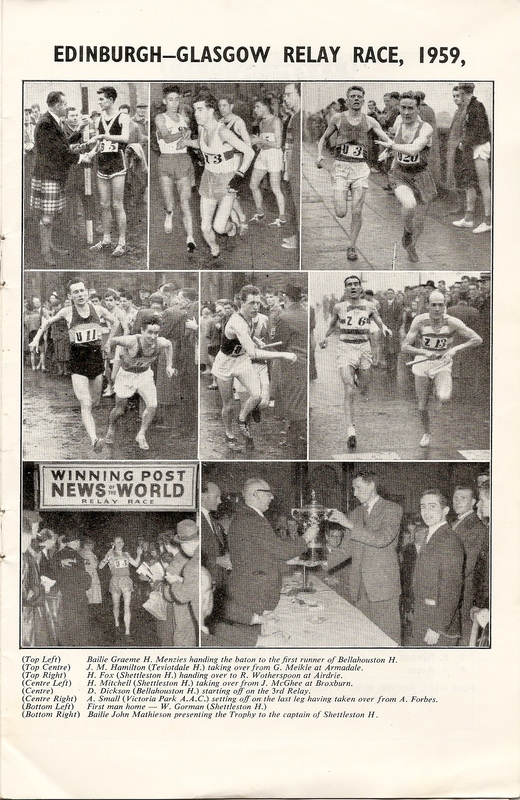 Possibly the most eagerly sought page on arrival in Edinburgh was the one with all the photographs from the year before: No one knew which athletes or clubs would feature and the pictures were always of high quality. 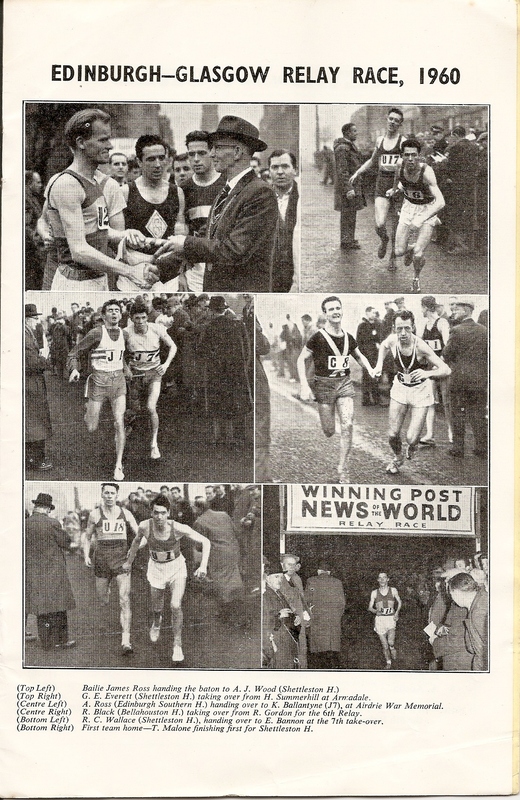 As an example, there are two such pages below: one for 1959 and one for 1960. Wonderful photographs: since there are more available and they may well be added.